A recent lawsuit contends that nutrition companies are selling fish oil that is contaminated with PCBs. PCBs, or polychlorinated biphenyls, are carcinogens that were banned in the 1970’s because they caused significant health problems. The lawsuit filed complaints against CVS, GNC, Omega Protein and Rite Aid among others. PCBs leak into ground water and were disposed of into the ocean causing many problems in the 1970s. The problem became known when emaciated seabird corpses with very high PCB body burdens washed up on beaches. Despite the fact that these chemicals were banned in the 70s we continue to deal with the after effects. This is clear because the fish that are harvested today to make fish oil have high levels of PCBs. 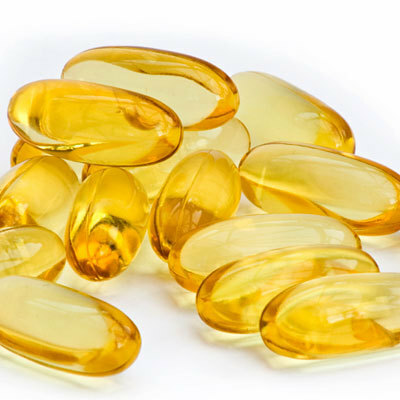 The companies that make fish oil should be careful to purify the oil they use. This is precisely the problem with getting your supplements ‘over-the-counter.’ You can never be sure of the quality. The fish oil above is a 300 count bottle for $7.99. That’s right just 7 dollars and 99 cents. This particular brand of fish oil is for sale at BJ’s Wholesale club. BJ’s has over 180 locations up and down the East Coast so they sell plenty of it, I’m sure. Reputable nutrition companies sell fish oil for much more than that. Depending on the potency you should expect to pay between $30-$40 for a 120 count of fish oil, not $8 for 300! Supplements are thought of as harmless because they are natural. This is not always the case. Anything that has the power to heal and help has the power to be harmful. I have seen miracles with many supplement programs so their effectiveness is not in doubt. That being said, we have to consider they may pose problems for some people and if not made with the most stringent testing policies in mind they might be down right dangerous. Reputable companies test and test and test their products before they are sent out. They test the raw ingredient when it comes into their manufacturing plant and then they test the final product for safety and efficacy. They can also provide you with a certificate of analysis on each batch that has been made. If you are interested in the companies I work with you can visit my website and in my “Links” section are links to the companies I use. The nutrition industry gets a bad reputation because companies like CVS, Rite Aid and GNC want to make products that people want but they don’t want to invest the money to make them effective and safe products. All they want is to make them cheap. When it comes to your health you don’t want cheap. If you needed medication for a dangerous heart condition would you get it from the lowest bidder? You shouldn’t trust your health to nutrition companies who are only trying to make a quick buck. If you have health issues that you are concerned about and you would like to add supplements into your program (always a good idea in my book) don’t take on the prospect yourself and buy over the counter. See a professional who has a background in nutrition and will have access to higher potency supplements that are much safer. Remember, this lawsuit filed did not test all supplement companies and actually focused on some of the cheapest ones around. You should buy your supplements from a reputable nutrition company, but this will probably require you to see a doctor who is versed in nutrition. Your health is worth it, isn’t it?